Q. Does Tablet Pro work with my specific tablet? Yes, Tablet Pro works with all touchscreen Windows 8.1 or Windows 10 touchscreen tablets. *note various advanced functionality requires Wacom or Ntrig digitizers and Windows 10. Q. What functionality requires Wacom or Ntrig digitizers? Q. Does my tablet have a Wacom or Ntrig digitizer? I don’t know. You may have to share some information about your device with us. Q. What tablets work best with Tablet Pro? All of the Surface Pro computers from Microsoft work great with Tablet Pro, as do the Vaio line (both from and after Sony), Wacom, Lenovo and many others. If you don’t know check online to find out what digitizer is on your device. Q.  What Tablet PC’s have trouble with Tablet Pro. 98% of the features in Tablet Pro work on all the Tablet PC’s (*that we have encountered to date). Currently there seems to be issues with synaptics digitizers handling simultaneous pen and touch. HP Active Stylus is one that we have received emails regarding. Support may be forth coming. Q. Why is Simultaneous Pen and Touch such a huge deal? When an artist is working with the pen, the touch screen has (in the past) turned touch off to keep from accidentally pressing buttons with the part of the hand the rests on the screen while drawing. It’s easier to understand envisioning cooking in the kitchen or a mechanic working on an engine, the bulk of “real” work happens at the stove and under the car. With a second person to gather supplies, tools, parts, etc the work can be done fluidly and rapidly. The old way of using the pen and touch was akin to working alone. Simultaneous Pen and Touch hotkeys is that second person assistant to the artist. Q. Can Tablet Pro aid in very complex navigation and ui’s like that of zbrush, maya, etc. Q. Why is the software broken up into a million zillion parts? We have broken up the software into a number of parts to allow people to purchase only what they need. We have also provided a large discount for purchasing all our tools. However, our goal is not to be the cheapest software, our goal is to be the best tool we can be for you. We believe that our customers would rather pay more and have more and better than pay less and get less. Q. Is Tablet Pro the only software out there that does whatever it does? No, there are a small handful out there. 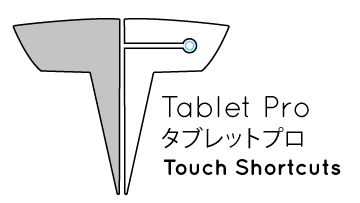 Tablet Pro has been aided and built with help from a number of the people responsible for other advanced touch control programs. Clint from Radial Menu has been a huge help and his software is a fantastic tool, that guy is incredible! Yashar from Touch Me Gesture studio is also a wonderful guy and has been very helpful. Q. What do I do if the buttons press inconsistently? You may need to swap “pen settings” from right to left for proper functionality. Using the cortana search bar type “pen settings” in Windows 10 you will also need to toggle ON “ignore touch input when using the pen”. Q. How do I turn toggling off? Ctrl, Alt, Shift are set to “toggle” by default, for many artists this may not be ideal. That can be changed in “artist pad” settings. Q. I made an Artist Pad and now I can’t get it to show up. If you can’t find the layout you just created check to see what size you created and which one is set to display when turned on. Often a “default” or “large” artist pad is created and a “Medium” artist pad is displaying the unmodified preset. Make sure the sizes match. Q. Will Tablet Pro be coming to Mac anytime soon? We currently have no plans of making a Mac version. The guys over at Astropad make a wonderful piece of software that we would recommend.